We recently spotted Laura Whitmore rocking a long charm pendant very similar to our brand new heart necklace from the AW14 Talisman range! Our charm is one of the Talisman designs now available on one of our new longer length 26″ chains. Laura is a lover of Muru jewellery, having previously sported our Hummingbird and Feather pendants, and we love how she’s styled this one. 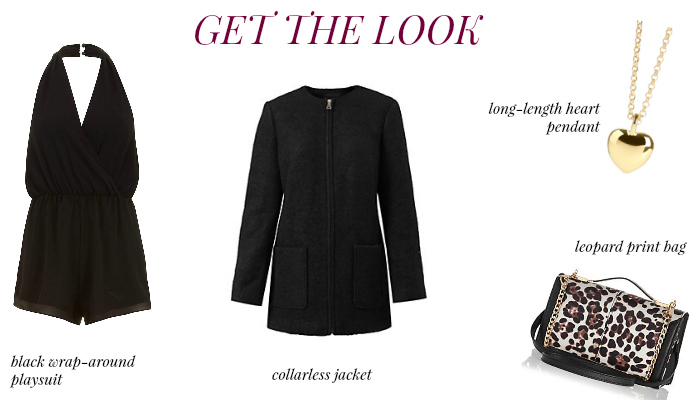 So we’ve put together a look to allow you to steal her gorgeous style!